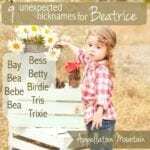 Birdie blends nature names with sassy retro picks. Our Baby Name of the Day is inspired by Jessica Simpson’s rumored baby name. Birdie brings to mind, well, birds. The word bird comes from the Old English bridd, which originally referred to chicks – young birds. It’s not clear where bridd came from, but by the 1400s or so it was the word bird as we recognize it today. It’s referred to young women for longer than you might think, too – maybe related to the word burde, for maiden or bride, or maybe from the creature. But then we forgot about all that, and during early twentieth century “bird” became slang for a young woman anew. That’s not an argument for making it a name, of course – we don’t use Dame or Lass. But it might explain – in part – why we tend to think of avian appellations as feminine. Bridget, the Irish goddess name, shortens to Bridy. From there, it’s a short skip and hop to Birdie. It might also come from sound-alike Bertie, a logical short form for Bertha or Roberta. You can imagine it working for Beatrice, too. Bernadette, maybe. And maybe even Elizabeth, though that’s a stretch. In Mad Men, Don sometimes referred to Betty by the nickname. A former First Lady used it, too. Claudia Alta Johnson, wife of 36th President of the United States, Lyndon B. Johnson, acquired the nickname as an infant, and it stuck. Her marriage certificate lists her name as Bird Taylor. Men use the nickname, too. Think of jazz musician Charlie “Bird” Parker, or a handful of athletes. But does it stand on its own? Here’s one reason it does: Bird and Byrd appear as surnames. They’re almost certainly derived from bridd. It might be a nickname based on a bird-like appearance, or it could refer to someone who worked with birds. 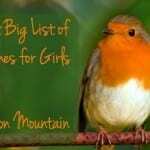 In other cases, it’s a translation of surnames from various languages that also referred to our fine-feathered friends. There’s basketball great Larry of the Celtics, polar explorer Admiral Byrd, and dozens of others. But that’s Bird. How ’bout Birdie? It turns out that, as a given name, Birdie ranked in the US Top 1000 every year from 1880 into the 1940s. During the nineteenth century, it appeared in the Top 200. While early data may be unreliable, it’s clearly in use – fairly mainstream use, too. 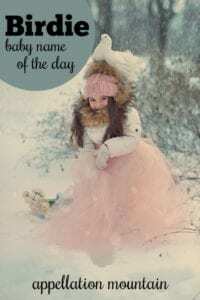 That puts in the same category as sassy nickname names like Sadie and Millie. Pop culture backs that up. Lois Lenski penned Newbery Medal-winning novel Strawberry Girl in 1945, the tale of strawberry farmers in Florida, who find themselves in conflict with their neighbors. There’s a minor figure in William Faulkner’s novel The Reivers, too. A handful of actors and others back that up, too. 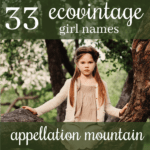 Beginning in 1915, and lasting for a decade, around 250 girls received the name every year. That’s peak Birdie. It declined in use sharply, becoming all-but extinct by the 1980s. And then the trend slowly reversed. In 2000, seven girls were given the name. By 2017? 94. That represents a massive increase. While it’s still well outside of the current Top 1000, it’s trending upwards – and fast. Busy Philipps gave the name to her daughter in 2008. Now Jessica Simpson’s baby shower photos suggest she’ll do the same for her daughter, due in 2019. There’s a character in the third season of Orange is the New Black called Berdie. And there’s a young British recording artist who answers to Birdy, even though her birth name is Jasmine. So there’s no shortage of places parents might hear this name, and there’s plenty of history to argue this name counts more as a vintage revival than a newfound discovery. If you’re considering Wren and Lark – or maybe Maisie and Hattie – Birdie might belong on your shortlist. Would you consider this name for a daughter? As a nickname, or as a stand-alone? Jessica Simpson had a baby daughter today and named her Birdie Mae, per a story in The Daily Mail. The writer Catherine Newman has a teenage daughter called Birdy. It’s a nickname, but she’s never called by anything else. One of my daughters has the nickname of Birdy. She requested it when she was two years old, and it is a part of her full first name. Sometimes, we shorten it to Bird, too. All of her sisters have specific birds somewhere in their full names, but she loves that she can pick any bird that suits her… most of the time it’s a flamingo (which isn’t the catchiest nickname itself). 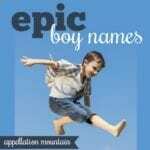 I obviously love this name. It feels cheerful and kind (reminds me of Snow White’s or Cinderella’s little friends).